In Luke 8:39 (TPT), Jesus sent a man that had just been delivered away saying, “Return to your home and your family, and tell them all the wonderful things God has done for you.” So the man went away and preached to everyone who would listen about the amazing miracle Jesus had worked in his life. This is us. We are people who have been dramatically changed by what Jesus has done in our lives. This is the place we can share our unfolding everyday stories of how God is actively moving. Right here. Right now. Please take a moment and send us something (anything!) God has done or is doing in your life. 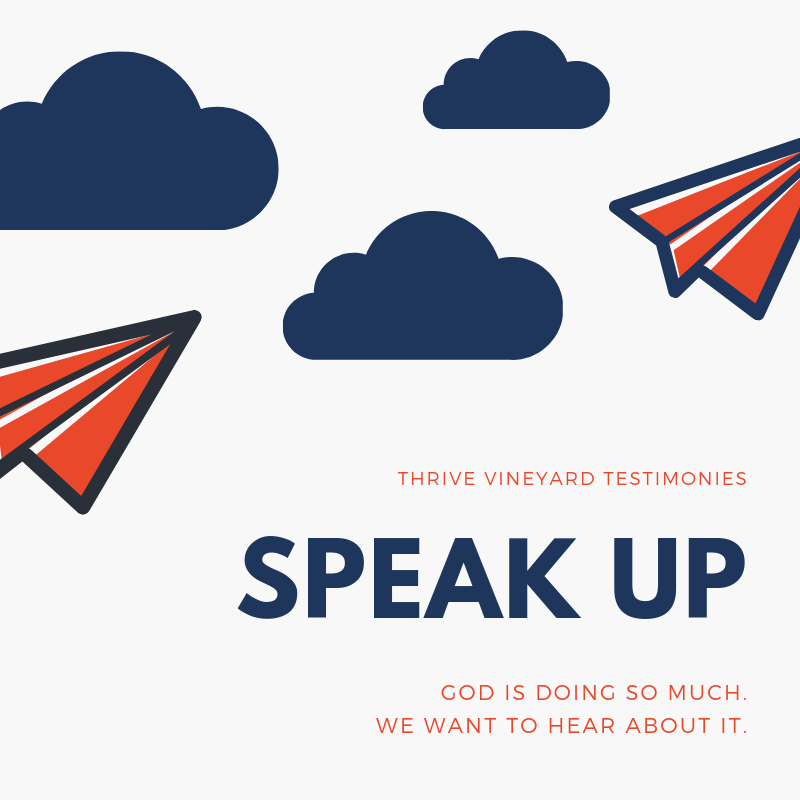 An answered prayer, an encouraging moment you had, a revelation, a miracle, a life-giving encounter with someone… Whatever it is, we want to hear (SPEAK) about it and encourage (UP) the community that God is absolutely among us! Don’t worry about the grammar & punctuation! Just write and we will make sure it comes across well! If you would like your story to be posted as ‘anonymous’ please fill out the form with your name but check the box ‘Anonymous’.